From 2012-2014 California experienced high temperatures and very low rainfall, leading to the worst drought in over 1,200 years. Drought can have severe negative impacts on plant communities that need water to grow and reproduce. Significant changes in the plant community will also have impacts on the species that rely on them for food and habitat, including insects and mammals. Since droughts are predicted to be more common in the future, it is important to understand how plant communities respond to drought events. Grasslands at the University of California McLaughlin Natural Reserve and elsewhere in California are dominated by non-native grasses that were introduced to the landscape in the 1800s. These grasses out compete native plants because they have faster growth rates and high seed output. These grasses can cover over 90% of the landscape and produce an astonishing 60,000 seeds per m2! However, these species are annuals, meaning that each plant lives for less than a year, and the seeds that they produce are not tolerant to drought stress. Conversely, native forb species are perennials, with each plant surviving for multiple years. Seeds from native forbs can remain in the soil for long periods of time. When conditions are favorable for the seeds, they can germinate and grow. Dormant forb seeds will typically germinate when cool, wet weather arrives. Researchers at the University of California Davis, led by Marina LaForgia set out to determine how the composition of seed in the soil, referred to as the seed bank, changed during the recent extreme drought in California. They were particularly interested in how many non-native grass seeds and native forb seeds germinated. Forbs are broad leaf plants that are common in grasslands. LaForgia and her colleagues took samples of the soil from 80 locations in the University of California McLaughlin Natural Reserve at the beginning of the drought in 2012 and again in 2014. The soil samples were placed in a greenhouse and the seeds contained within were allowed to germinate under optimal conditions. After the seeds germinated and grew, the team determined the species of the plants. For each sampling period they grew over 11,000 seeds representing over 120 species of plants! Their results, reported in the journal Ecology show that the number of native forb seeds in the soil increased 201% during the drought while non-native grass seeds declined 52%. They suggest that the non-native grasses were adapted to grow and reproduce quickly in wet years, but did not produce seeds that could remain dormant for long periods and await better conditions. Conversely, native forb species are adapted to environments that experience drought and invest energy in producing drought-tolerant seeds, which results in slower plant growth rates. Grass seedlings growing out of a crack in the pavement. Are the seed banks correlated with the plant biomass? Marina LaForgia and her colleagues also analyzed the plant biomass in the McLaughlin Natural Reserve in 2012 and 2014. They found a similar pattern in the seed bank and plant abundance. Specifically they documented a 39% decline in the cover of non-native grasses and a 14% increase in the cover of native forbs during the drought. Even though the native forbs increased, their species composition shifted from species with large leaves to species with small leaves. Plants with large leaves are more susceptible to drought because they have a higher water demand. 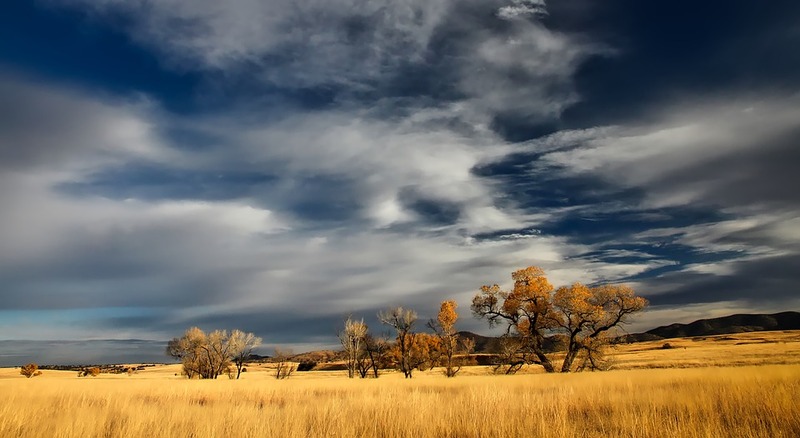 What does the future hold for California’s grasslands? Although LaForgia and her colleagues showed that native forbs were more drought-tolerant than non-native grasses, it is important to remember that they were only measuring the response over a 2-year period. Persistent and frequent drought events in the future may have a negative impact on the native forb community. It is also important to keep in mind that although grasslands are dominated by non-native species, these grasses do provide important ecosystem services to the area. These grasses are used as forage for livestock and serve as a habitat for many insects and other animals. While we cannot stop the occurrence of droughts in the future, California is investing in strategies to conserve water and reduce the global impacts of climate change. So what can you do? You can follow easy steps to reduce your water usage including installing water efficient appliances, only doing laundry when you have a full load, and choosing to not water your lawn. For more tips on conserving water, visit the California Department of Water Resources website.